Available in only in Czech. Contemporary social cornerstone is that the actions and policies in the public sector should lead not only in the Czech Republic but also across the EU to a new economic growth. 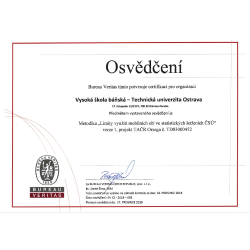 Successfully face innovative challenges, resulting in a so-called smart and sustainable economy that promotes social inclusion, also means taking advantage of new smart solutions for decision-making. New technology reduces deficits in operational and strategic decision-making process and unavailability, outdated, or too costly procurement of data. 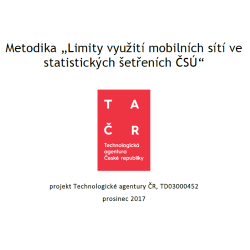 The project aims to verify to what extent can be identification and classification of the population based on aggregated data information from mobile networks and how can the technology complement or replace existing investigations carried out mostly by the Czech Statistical Office. stability over time-based on the reporting period (time of day, month, season), and for different types of solved tasks.